Java is one of the most popular programming languages in use. Java is a general-purpose computer programming language that is concurrent, class-based, object-oriented and specifically designed to have as few implementation dependencies as possible. It is intended to let application developers "write once, run anywhere" (WORA), meaning that compiled Java code can run on all platforms that support Java without the need for recompilation.Java is widely used in all kinds of electronics, websites, applications, handheld devices, some cars even have Java programs controlling certain things. 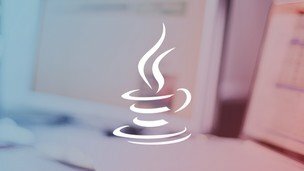 Oracle JAVA has no pre-requisite for learning the basics of Java programming. Oracle Certified Associate, Java SE 7 Programmer is a comprehensive training course that is designed to equip participants with a solid understanding of Java as a programming language and it is a prerequisite to being a certified Programmer.This entry course focuses on variables, class and interface definition, arrays, exception handling, encapsulation, polymorphism and flow control.